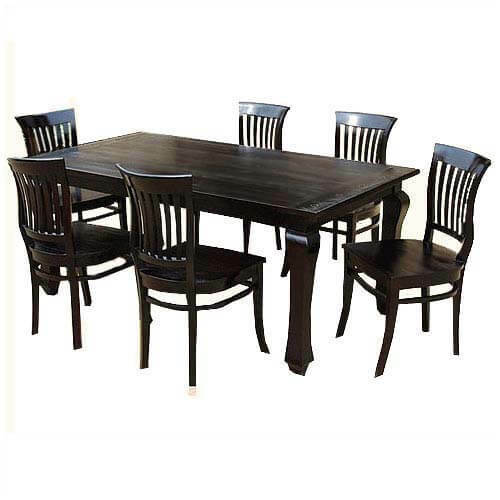 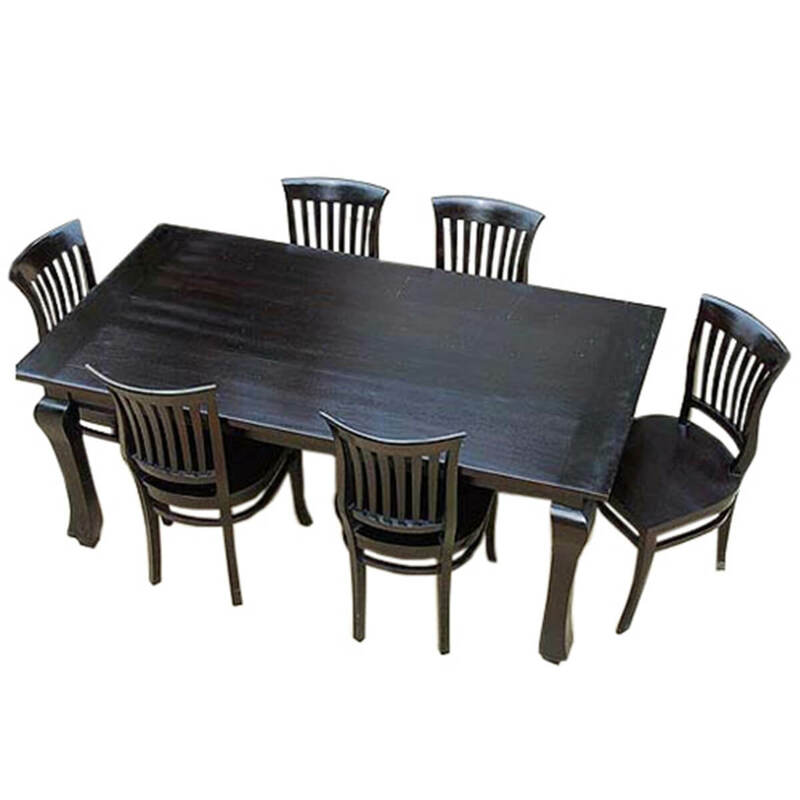 The ABCs of fine quality furniture can be found in the Kansas City Ebony Kitchen Table with School Back Chairs. 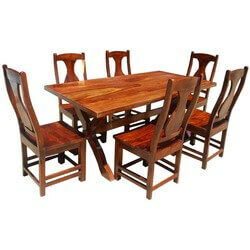 Attractive Beautiful Comfort makes this furniture set perfect for the kitchen informal dining area or study. 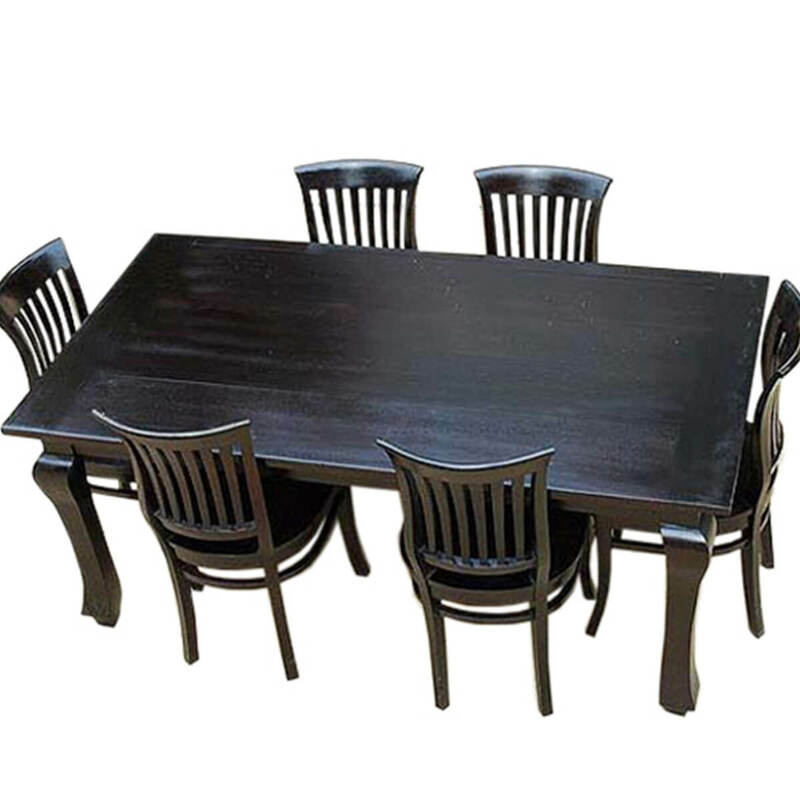 • Wide plank board table top design. 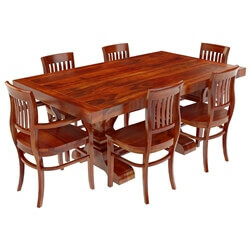 • Note diamond carving on table top ends. 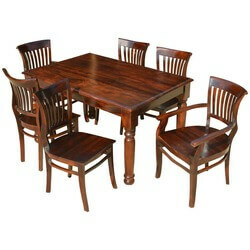 • Queen Anne style dining table legs. 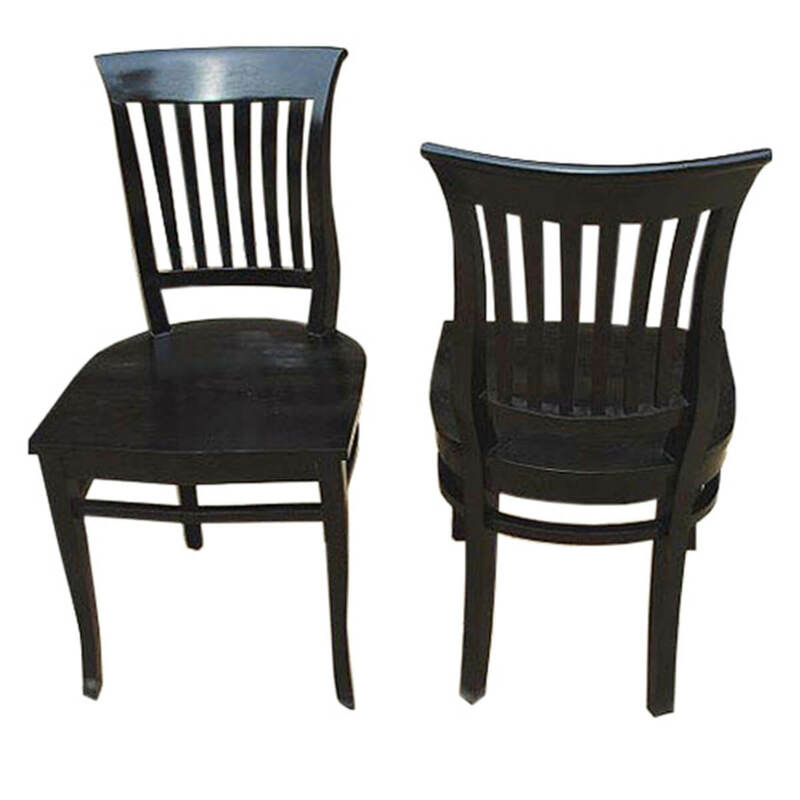 • Rounded seats school back chairs which creates extra comfort. 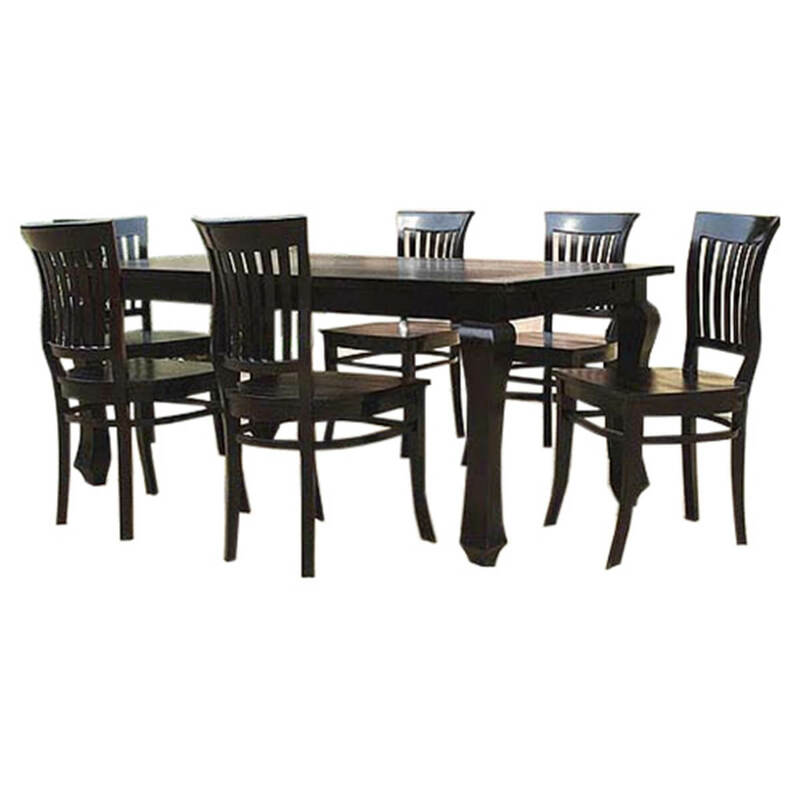 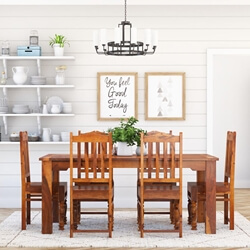 • Dining chairs have support bars for durability. 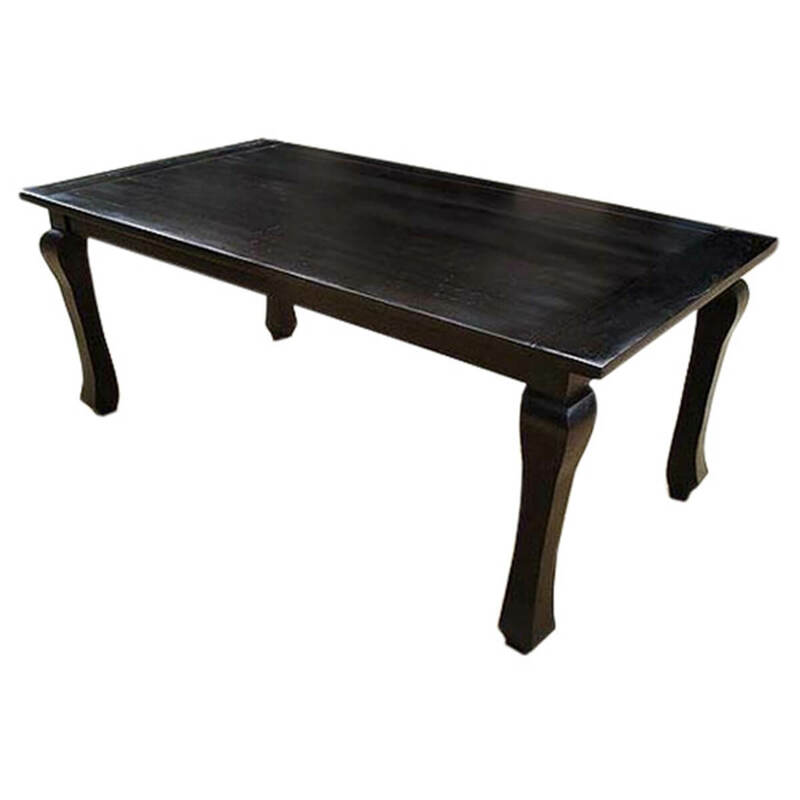 • Ebony finish is applied by hand to bring out wood grain and promote a lasting finish.